In the run-up to Vinitaly 2018, over 2700 wines from all over the world participated at the third edition of 5StarWines, Vinitaly International’s annual wine selection. Held April 11th to April 13th in Verona, over 600 wines achieved a score over 90 out of a 100, making it onto the 5StarWines-The Book. 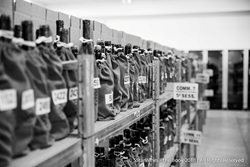 On April 13th, the third edition of 5StarWines came to a close at wine2digital, Verona. Organised by Vinitaly, 5StarWines is a three-day tasting aiming at shedding light on wineries investing in the improvement of their products. During the event, a highly qualified panel of wine professionals tastes and gives score on a 100-point scale to more than 2.700 wines. For the second year in a row Italy stood out as one of the best producers at the selection, with Cantine del Notaio Soc.Agr. A R.L. taking home the “Best Winery of the Year - Gran Vinitaly 2018”. Worth a mention is the fact that this year, the selected 5 star wines will also be indicated as 5StarWines on Wine-Searcher’s online listings, one of the most famous web search engines for wine. Moreover, The 5StarWines label will also feature on the Vinitaly App during and after Vinitaly ,for all buyers and trade.